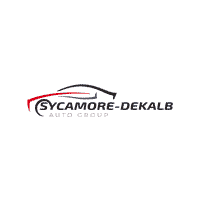 Welcome to the Sycamore-Dekalb Auto Group website, a fast and convenient way to research and find a vehicle that is right for you. Whether you are looking for a new or used Chrysler, Dodge, Ford, Honda, Hyundai, Jeep, Mercedes-Benz, Ram, Toyota or Volvo car, truck, or SUV you will find it here. We have helped many customers from Clare, Cortland, Dekalb, Malta, Maple Park, and Sycamore find the Chrysler, Dodge, Ford, Honda, Hyundai, Jeep, Mercedes-Benz, Ram, Toyota or Volvo of their dreams! We know that prospective customers are extremely well educated when researching their next vehicle. Sycamore-Dekalb Auto Group has made it easy to get all the available vehicle information so you can spend less time researching and more time enjoying your purchase. Check out our new specials and used specials for additional savings on your next vehicle. If you don’t see what you are looking for, call us to discuss your options with our friendly sales staff. Or, to visit us and speak in-person, click on locations for contact information. We look forward to serving you!